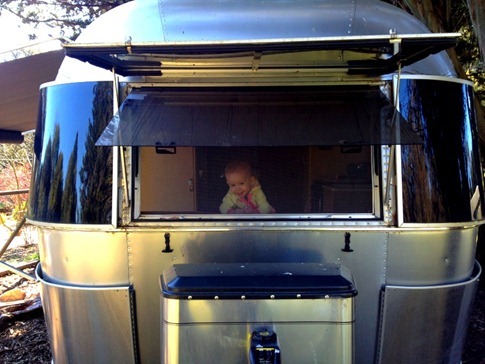 After a couple longer trips in our 2012 19' trailer (a loop around the Southwest in 2013 and a longer trip to Canada in 2013), we returned to the farm for some soul searching, but by then we pretty much knew we wanted to do it full-time. 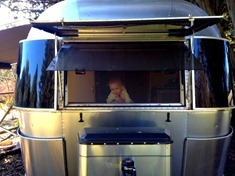 We spent 6 months modifying a 2005 International CCD 25' (see our modifications) and in August of 2014, we moved into the Airstream when Mae was just 6 weeks old. After a Fall of short trips around California and visits with family, we officially hit the road in January of 2015. Zoom in and click on any ADV-O-DNA icon for a link to a blog post, scroll down through the index of Airstream stories below or peruse back through our Instagram feeds in the right column (tho those only started in Canada). We hope you enjoy the adventure.